The experts at Lawson Home Services have years of experience providing complete mold remediation services that are designed to providing a lasting solution to mold problems. Our fully trained and certified experts know how to identify and test for mold growth and provide mold removal services. Call us today at 1-833-397-0163 or click below to get a free estimate on mold removal for your home in Wilmington, Bear, Dover and the nearby areas! 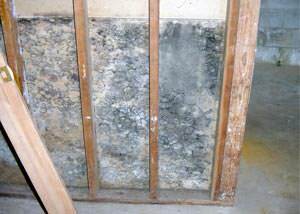 Mold grows quickly: Mold needs only moisture, temperatures above 40°F, and organic material to survive. Moisture is very common in places such as attics, basements, and crawl spaces, while the wood and drywall in your home offer plenty of organic material. Mold can grow in 24-48 hours, preferring areas with no sunlight, limited airflow, and little disruption. Cleaning visible mold is not enough: Mold can grow in fiberglass insulation, on top of ceiling tiles, inside ducts, behind drywall panels, in wall cavities, and behind wallpaper. Even when it's visible, it's often difficult (even for an expert) to tell the difference between mold, soot, and dirt without testing. More importantly, the mold you see is likely a sign of a bigger problem you can't see. Mold testing: It's important to identify if you have mold, and if so, what type of mold you have. By testing potentially affected areas, we can recommend the best solution for your needs. If your home currently has mold or is at risk of developing it, the experts at Lawson Home Services can help make your house dry, clean, and safe. We provide fully trained and certified mold removal professionals operating with the best equipment available, giving you the best solution for your home. If you have issues with mold growth in your home, call us today at 1-833-397-0163 or contact us online to get a free estimate on our complete mold removal and remediation services. We offer all our mold services in Wilmington, Bear, Dover, Newark, Salisbury, Middletown, Easton, Hockessin, Claymont, Berlin and throughout the surrounding areas.